Ready, set, let’s go to the treehouse! 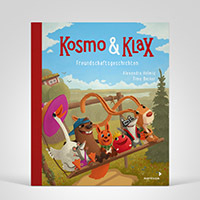 Kosmo & Klax’s cheerful and colorful world is awaiting you, so come and enjoy the gaming fun, adventure and all that there is to discover. 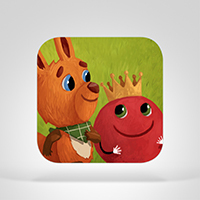 Join the two heroes in fun mini-games while helping them solve tricky tasks such as: Where is the missing nut? What other ingredient does Bibo want on his crêpe? And how do you actually piece an “A”, “B” or “C” together? Kosmo & Klax live in a treehouse in the valley of the enchanted park. Kosmo, the curious squirrel, is always full of ideas. And Klax, his best friend and enchanted prince in the shape of a little red ball, enthusiastically accompanies him on every adventure. They like to have their adventures with all their friends: Mr. Hare, Ms. Goose, Knabba, Lilli Graymouse and Bibo Beaver. After all, when everyone’s together, things are a lot more fun: Whether they’re all looking for food, puzzling letters or making the most delicious crêpes in the valley, the friends from the enchanted park are always there for each other! Diverse mini-games: Find the nuts, serve the friends crêpes with the right ingredients and get to know the letters of the alphabet with Kosmo & Klax. 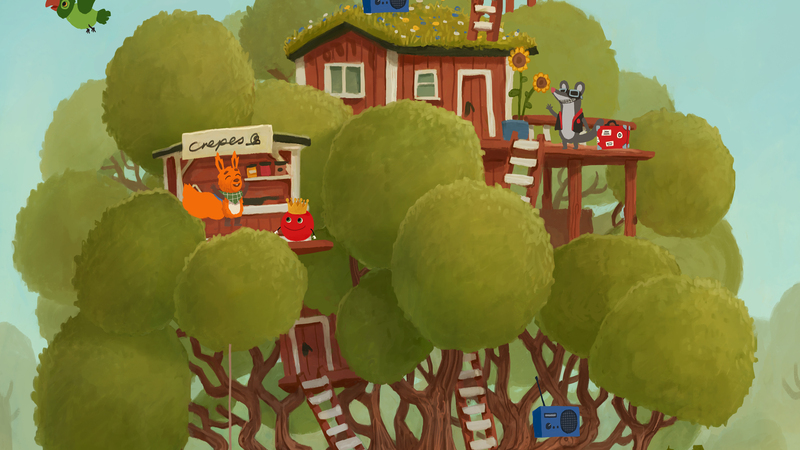 Interactive world: Explore the treehouse with its inhabitants and watch the cute details and animations over and over again. Likable cast: Get to know the cute characters from the popular storybook series by author Alexandra Helmig und illustrator Timo Becker. Playful learning: The mini-games promote motor skills and the ability to concentrate, and shape perception for young explorers aged three and over. Playing and exploring without pressure: The app has no high scores or timers, thus allowing children as much time as they need to discover and play. 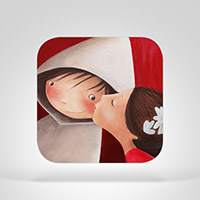 Motivating sounds: The app includes charming sound effects which provide even more fun for children. Security: The app is completely ad-free and does not include in-app purchases. 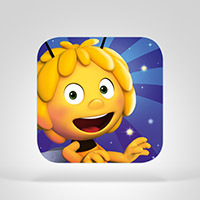 Child-friendly: The app is easily manageable for young users.